New Orleans - where conflict between black and white, and rich and poor are only just hidden is the setting behind this story of family tension. When the conflict comes out into the open all the emotions of jealousy, love and hatred are uncontrolled and bitterness leads to violence and violence leads to revenge. Like the coils of a snake the story unfolds to an unexpected and biting conclusion. 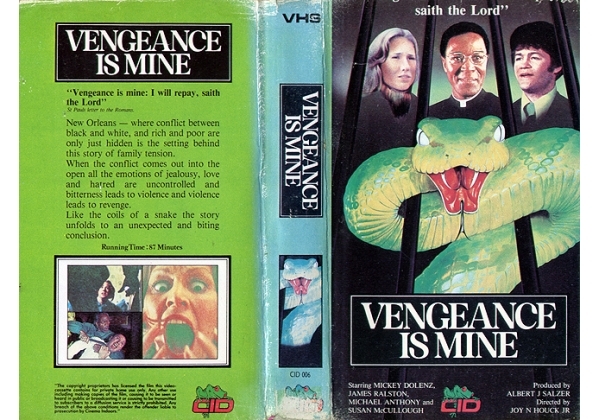 Or find "Vengeance Is Mine" on VHS and DVD / BluRay at Amazon.